Google Reviews are opinions about local businesses and branches that customers see on Google Maps and in local search results. Managing them helps build your brand’s reputation and boosts local SEO. According to a survey conducted by Podium 93% of customers use Google Reviews when making purchase decisions. 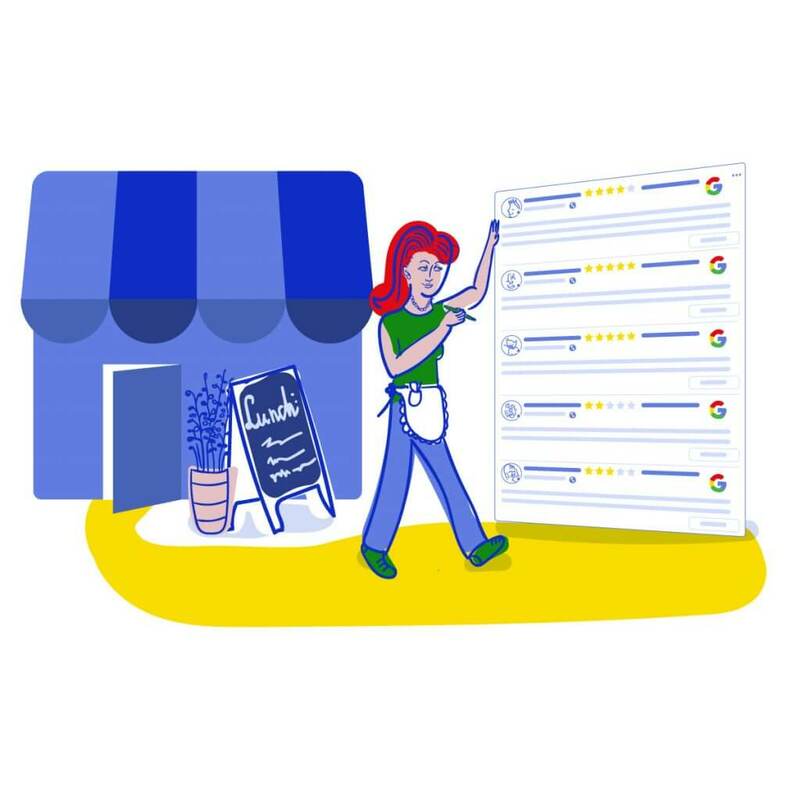 Google My Business reviews and ratings are valuable clues for potential customers when they’re comparing your services or products to what your competitors are offering. Such reviews have a similar impact to that of a friend’s recommendation – in an online world saturated by ads they are a trustworthy point of reference. 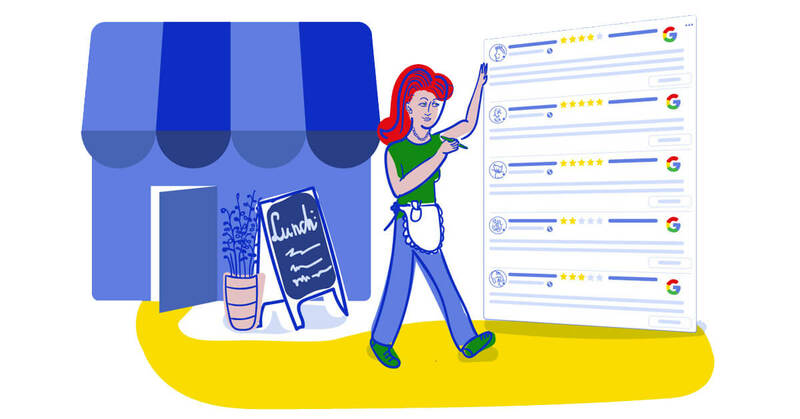 Many service-based businesses such as restaurants rely heavily on their local Google rating. Podium’s survey suggests that 50% of consumers who search locally on their smartphones will visit the business within 24 hours. Why are Google Reviews important for SEO? Google reviews significantly impact your Google business rating and increase your online exposure. 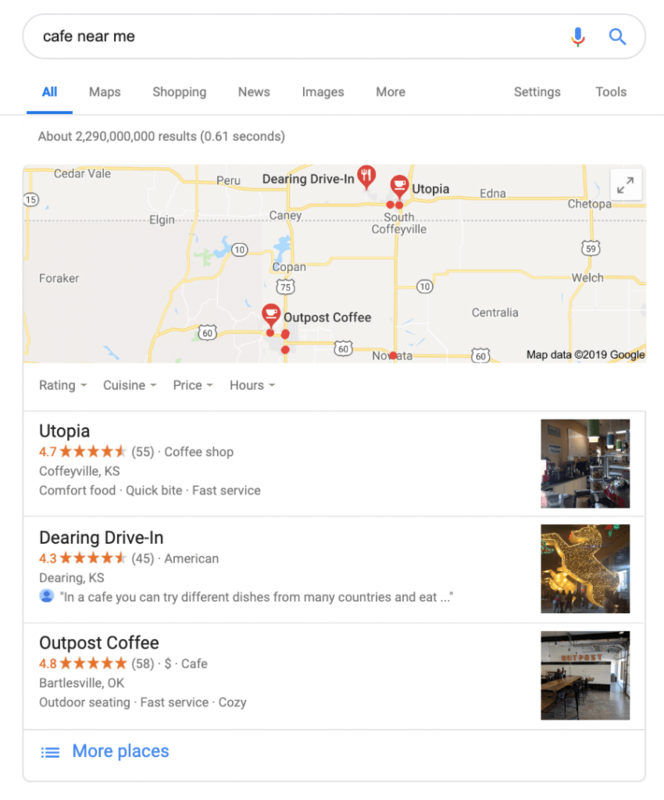 Reviews that include the searched-for keyword are the second most influential factor for a local business’s performance in the so called ‘Local Pack‘ (the box of local search and map results that appears at the top of relevant searches in Google). Reviews also improve the click-through rate to your website and help convert more customers. The more reviews you have the better. Too few means customers will overlook your business amongst those with more opinions. If you’re not getting enough Google reviews, encourage customers to write them. As many as 77% of customers say they are happy to leave a Google Review when asked, says Podium’s survey. Getting reviews is one thing. And of course, the more positive reviews you get, the better your My Business rating will be and the more likely you are to win against a competing local business. But responding to reviews is just as important. In fact, giving reviewers feedback is highly encouraged by Google – it means that you are actively engaged in delivering great customer experience. Even replying with a brief thank you for each positive Google Review can boost your SEO. It also gives you an opportunity to use some of your keywords. The more you customise your replies, the better – you don’t want to make your customers feel like you had a robot reply, while they took time a write a genuine opinion. So even if you are just thanking a customer for a positive opinion, try to make it personal. The same rules apply to Facebook Recommendations. Even the best businesses with fantastic customer service get negative reviews. Sometimes, they are legitimate complaints, sometimes they left by customers with a long history of bad reviewing (it’s easy to verify it by looking at their profile). When you do get a negative review, regardless of how real the problem, keep in mind that the customer is always right. Applying this rule to Google Reviews will help you maintain a professional approach to managing negative reviews. Reply in a way that shows you take their opinion seriously and that you’re interested to know the details of what exactly went wrong. Be apologetic and – where possible – try to highlight any positive aspects. Keeping a cool head will help too! Not all, but some dissatisfied customers can be turned into your greatest fans if you show them a little love. The fact that they cared enough for your business to leave a review in the first place says something about them as a proactive consumer. If you manage to change their mind, they will come back with a five-star review. How to manage Google Reviews? As you can see, there are many benefits to monitoring and managing Google Reviews. But staying up-to-date with yet another customer touch point on a regular basis can get tricky. You can now use NapoleonCat to manage Google Reviews and all your social media channels from one place. You will see new reviews in one place, together with all your social media comments and messages. This way, you won’t miss the next review and will be able to reply quickly. Manage Google Reviews, Facebook, Instagram and Twitter from one place.